Super Eagles duo of Victor Moses and Alex Iwobi will come at loggerhead as Chelsea confront Arsenal at the Emirates Stadium in Saturday’s London derby clash (5:30pm Nigerian time). Moses, who has always had a difficult time in the London club, going on loan to Stoke City, Liverpool and West Ham to earn regular shirt, has found a new lease of life under new Chelsea manager, Antonio Conte. He has started all of the team’s EPL match as a substitute, scoring a goal in Chelsea’s 3-0 win over Burnley and also in the English League Cup against Bristol Rovers. He was also on for the entire 120 minutes as the Blues eliminated Leicester City 4-2 at the Kings Power Stadium on Tuesday, to qualify to the fourth round of the League Cup, where they will face West Ham. 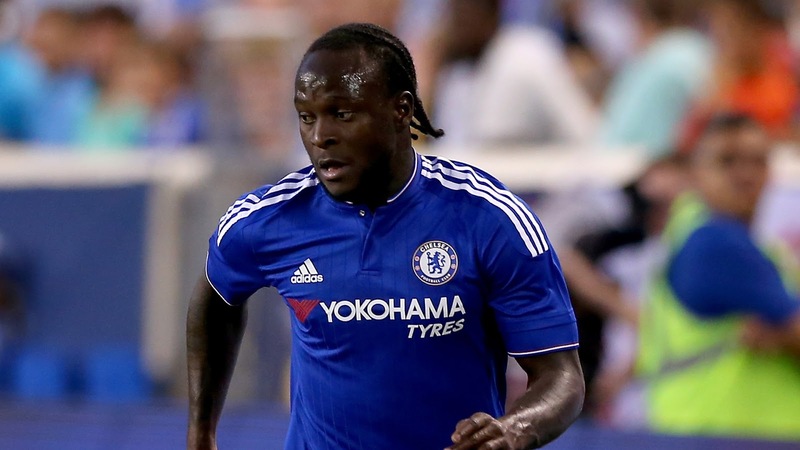 Moses could be handed a starting shirt ahead Willian if the unforeseen happens to the Brazilian international. Meanwhile, after a breakthrough season in 2015/16, Iwobi, 20, has a big chance to cement a first-team spot in Arsene Wenger’s team. The Nigerian midfielder has played twice in the Premier League for the Gunners this season and assisted three goals. Arsenal are always looking for goals from midfield and they’ve lost Aaron Ramsey to injury. Saturday’s home game against Chelsea gives Iwobi the platform to show just what he can do. Overall, Arsenal have won the more games in history, having won 72 times to Chelsea’s 61,with 54 draws (as of 24 January 2016). Arsenal’s record win was a 5–1 victory in a First Division match at Stamford Bridge on 29 November 1930. Chelsea’s record win was a 6–0 victory at Stamford Bridge in the Premier League on 22 March 2014. Chelsea also had scored 5 goals against Arsenal at Highbury on 11 November 1998.